If you haven’t already, its time to start thinking about your Autumn/Winter wardrobe. Yes, its “just” clothes, but as Kanye West once said “sweaters are f***ing important”. Autumn is officially here (does jig and claps hands). My absolute favourite season, for countless reasons. Pumpkin spice lattes, timberland boots, woolly hats, cold noses, Halloween, comfort food, leaves crunching under your feet when you go for a walk (and the adrenaline rush that comes with not knowing what’s under said leaves, but stepping on them anyway), the colours, soup, hot chocolate and ultimately because like Kanye, I love a sweater. 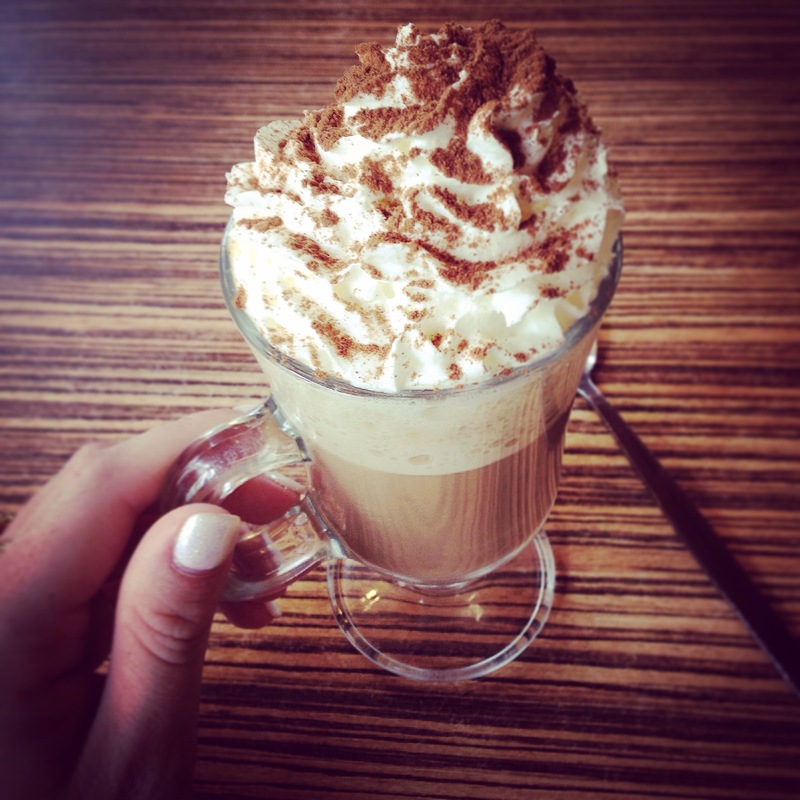 Pumpkin Spice Latte: 1 shot espresso, 1-2 shots routin pumpkin spice syrup (to taste), frothy hot milk & top with whipped cream and cinnamon powder. Another great part of Autumn, fashion week. With New York just culminating and London upon us, I am in my element. This year there are some stand out trends. Glitter (covered in my last post All that glitters…), neon, gingham (yes you will be wearing it, mark my words) and the humble hoodie. Thats right, the hoodie has made it onto the main stage and I couldn’t be happier. As you all now know how I feel about sweaters, it won’t come as a surprise that if you stick a hood on one I will be overjoyed. No longer reserved for those youths aspiring to gain their first ASBO that you see in the tabloids or for those “I’m too tired to function and won’t be leaving the house” days. Hoodies have become glam, paired with luxe fabrics such as satin they featured heavily on the runways. The hoodie can do it all. It is comfortable, forgiving, functional and now stylish- how rare is it to find a trend that ticks these boxes? I mean seriously, any problem can be solved by this wonder garment. Bloated from indulging in too much pumpkin spice/Halloween chocolate/comfort food? Hoodie. Light, autumnal rain but not cold enough for a heavy duty coat? Hoodie. Too windy for an umbrella? Hoodie. Want to be on trend but can’t justify sacrificing comfort? Hoodie. Bad hair day? Hoodie. I could go on. Voided oversized hooded sweat £30 @ASOS.com. Bones oversized cropped sleeve sweat £28 @ASOS.com. Femfest pink sweat by Criminal Damage x Manta £65 @ASOS.com. Yeezy for President sweatshirt £8.95 (sale item) @ROMWE.com.